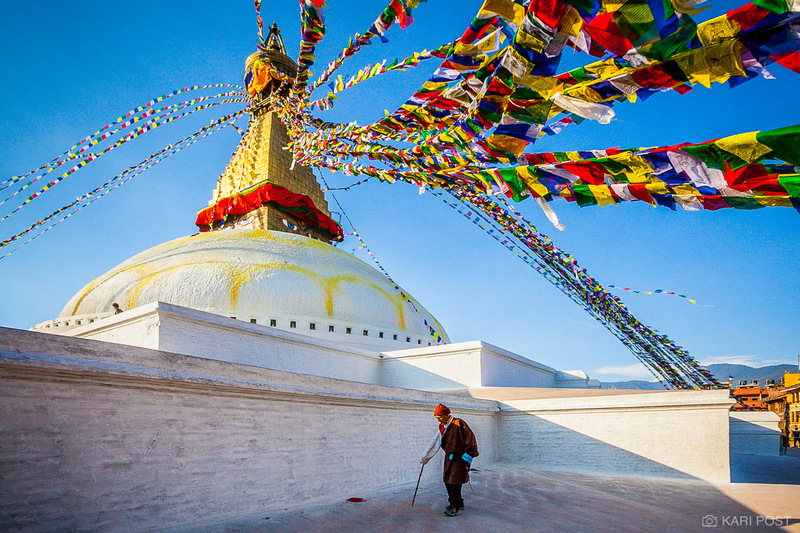 An elderly Nepali man walks under the prayer flags at Stupa Boudhanath in Kathmandu. All material © copyright by Kari Post. All rights reserved. Site by WideRange Galleries.